Stevia is an ingredient found in our Cleanse Sachet For Kids product as shown above. 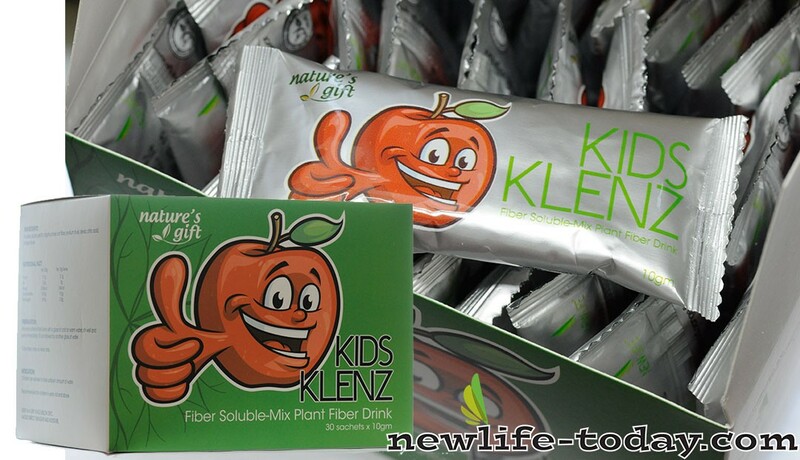 Cleanse Sachet For Kids contains Fructose, Apple Pectin, Oligofructose, Oat Fiber, Psyllium Husk, Stevia, Citric Acid, Orange Flavor. Stevia is an ingredient found in our Collasta product as shown above. Collasta contains Fructose, Stevia, Oligofructose, Hydrolyzed Marine Collagen, Red Algae Extract, Haematococcus Pluvialisin, Grape Seed Extract, Green Tea Extract, Tomato Extract, Pine Bark Extract, Mangosteen Extract, Vitamin C, Vitamin E, Vitamin B Complex, Citric Acid. Stevia has been in wide use in South America for centuries, and in Japan since the government banned the use of artificial sweeteners. To date, no harmful side effects have come to light, making stevia one of the most promising sugar alternatives available. Stevoside, made from stevia, is approved as a food additive in Korea, and is widely available throughout China, Taiwan and Malaysia. In China, tea made from stevia leaves are touted as anti-aging and weight reduction aids. Stevia is one of a family of plants that are native to South America and have been used for centuries to sweeten drinks and foods. Stevia leaves are said to be from 30 to 300 times sweeter than sugar * though the amount of sweetness varies from leaf to leaf and plant to plant. It is touted as a natural alternative to artificial sweeteners. To date, chemical analysis and studies show that the leaf adds no calories, has no harmful side effects and is more palatable with less aftertaste than any artificial, chemical sweetener to date. Stevia is an herb, native to the highlands of South America. The extract from the leaves of a stevia plant can be crystallized and turned into a powder or a liquid sweetener. It is 200 times sweeter than granulated sugar. Alone, stevia extract is all natural, has no calories and is naturally sweet. Stevia naturally has a licorice-like flavor which can leave a bitter aftertaste when added to foods and beverages. To balance out the aftertaste, we created a perfect blend of stevia with cane sugar and a natural flavoring. Stevia contains no calories and will not spike blood sugars. Maintaining healthy stable blood sugar levels alone will set many people down a path to a healthy weight. Stevia is not just beneficial for weight loss. There are many other benefits from using stevia. Stevia leaf has been documented to have a hypotensive, or blood pressure lowering effect (at dosages higher than used for sweetening purposes) . Persons with low blood pressure and those taking antihypertensive drugs should avoid using large amounts of stevia and monitor their blood pressure levels accordingly for these possible effects. The natural stevia leaf contains numerous phytonutrients and trace minerals. Sweeter than sugar, natural stevia can be added as a supplement to any food or beverage such as coffee, juice, hot/cold drinks, cakes, pastries, etc. to obtain a delicious taste with no extra calories. Erba Dolce natural stevia is produced with the highest quality stevia leaf extract. Erba Dolce natural stevia contains no chemicals or synthetic ingredients. Our white stevia powder is free of saccharin, aspartame, and refined sugar fructose. Erba Dolce is the name of high quality natural stevia. Stevia is unlike all the other herbs in your garden. It isn’t used to flavor food or for it’s medicinal values or it’s scent. Its only use is as an herbal sugar substitute. This remarkable plant contains steviol glycosides, compounds that are up to 300 times sweeter than sugar but without the calories. Stevia continues to be studied, and more data will certainly help consumers make the best choices for their health.